Ed. Note: The gazebo part suffered some serious damage after the earthquake of 2011. “Wondering if you saw the recent news about the plan to demolish the Latney Funeral home, on the corner of Georgia and Randolph, to make way for a 20-unit residential building. “The Board of Zoning Adjustment (BZA) granted MMg for a variance from the off-street parking requirements, to allow the construction of a new six-story, mixed-use building containing 20 dwelling units and ground floor retail at 3831 Georgia Avenue, N.W. in Petworth. Murillo Malnati Group, submitted this self-certified application on May 1, 2015, for the property located at 3831 Georgia Avenue, N.W. requesting a variance from the off-street parking requirements. MMg was represented by Christopher Collins and Jessica Bloomfield of Holland & Knight; Bill Bonstra of Bonstra Haresign Architects; and Osborne R. George of O.R. George Associates, Inc. The project received conditional support from D.C. Department of Transportation (DDOT) and the Office of Planning (OP). The Board also received 41 letters in support of the application from residents located in close proximity to the Site. Additionally, The Board also received a letter from Zach Teutsch, Single Member District Commissioner for ANC 4C05 (Ex. 50), who expressed his support for the project and described the importance of transit-oriented development and the value of creating additional density near the Metrorail station. DDOT’s report stated that it has no objection to the requested variance with the following transportation demand management (“TDM”) measures: For rental apartments provide complimentary annual bikeshare, complimentary annual car-share membership subscription or $100 Metro SmartTrip card for the tenants of each unit for the first ten years. The Site is situated in the Petworth/Georgia Avenue neighborhood of Washington, D.C., which is an area that is highly walkable and rich in public and private transportation alternatives. 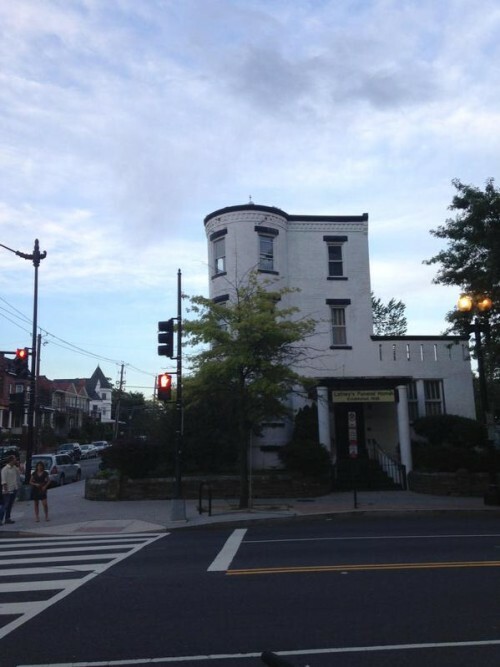 Petworth has seen significant new residential and retail development, which has resulted in the area’s emergence as a vibrant urban neighborhood. The Site has excellent public transportation options, with convenient access to the Georgia Avenue/Petworth Metrorail Station, multiple Metrobus routes, car- and bike-share facilities, on-street bicycle routes, and safe pedestrian infrastructure. One of the conditions of the variance requires MMg to make off-site parking available for two additional parking tenants if necessary.